An opportunity for tea entrepreneurs to join an international network of tea enthusiasts. Think of your business profile as a 24-7 x 365 advertisement to a targeted audience of tea lovers around the world. Your profile page is unique URL intimately and thoroughly introduces you to our tea-focused membership. Add images, video, an unlimited description of your business or service and complete contact information. The field for your special value to ITSS members is an opportunity to reach out and welcome tea lovers to contact you directly. Be sure to share what make you unique in Tea Land and why you have chosen a life in tea. What’s your tea story? Increase your visibility to the ITSS community – AND – your footprint on the Internet. In addition to your complete profile page, ITSS Business Members may submit their events to add to our online calendar. Each event listing will also have their own “page”. These pages are also optimized for SEO, visible to search engines when a tea lover “googles” you. Members will spot your events in order by date. They can select to see the calendar by list with the featured image and a short excerpt from the entire description or the full-month view with event titles only in the square for each day. Members click to view the complete listing. Provide your descriptive details and at least one photo – up to three + logo. The live links should have curious sippers clicking on your website or picking up the phone for reservations. Events can include classes, themed tea parties, festivals, tours . . . or even a Grand Opening or anniversary celebration of your business! * Offering a discount code to Tea Sipper Members is very attractive. What are ITSS Special Events? In the past, our special events were completely virtual. We interacted with members via email and social media for annual Month-of-Tea themes every January. But, in January 2019 we launched our most ambitious project, Sip for Peace. With this, we opened participating more broadly to the international tea business community and served as a bridge, reaching out to consumers who are thirsty to learn more about tea. By participating in tea festivals, we’ve been able to make the Tea Sippers Society more real. And more fun! One of our festival offerings is a banner with “Famous People in Tea History” where your face can replace Lu Yu, The Duchess of Bedford, Shen Nong or Sen No Rikyu. As we promote ITSS membership, we also promote the relationship with Business Members. We launched a series of webinars for business with an adaptation of Babette’s presentation, Creating Your Own Tea 101. She offers suggestions for the importance of and how to create an intro presentation for your business. ITSS Business Members will be invited to join live events. Webinar recordings will be archived for replay. Publishing your work to ITSS is an excellent way to be recognized in our community of tea lovers, helping to establish your professionalism and experience in the tea industry. Publishing in all categories is available to ITSS Business Members. Some categories and contest submissions are available to members. We offer several categories for which you can submit content. Write on your personal and professional experience. Your love of tea history. Tea party themes with your favorite recipes. Travel stories to countries of origin or tea travel in your community. Consider participating in an ITSS webinar or hosting an online seminar for members. Publishing your work builds your professionalism and advertises your business. Super Sipper Premium Membership Kits are one of our most popular membership options. Tea Lovers of all interests and preferences love “swag”. It’s like putting samples in tea festival goodie bags. Unlike other forms of advertising (like pay-per-click) that charge for putting your product in front of random viewers, this level of paid membership filters your audience to sippers who are more likely to drink tea every day. In addition to product samples, we welcome your special value coupons. Our goal is to include at least five product samples with each annual membership renewal. For $100/year you currently receive these benefits. But, every year we are building out more benefits and looking for the best possible ways to build this global tea community and support the businesses who share this vision. Not quite sure? Register with a free membership to get to know us better. 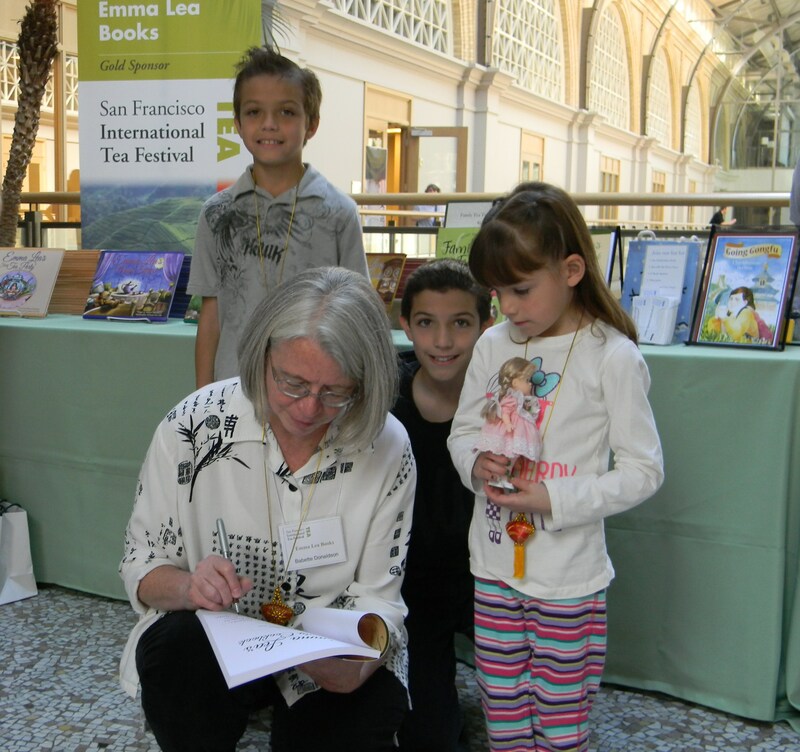 Founder, Babette Donaldson, signing books at the 1st San Francisco International Tea Festival. As one of the original organizers of this event, she realizes the importance of creating new ways to introduce Tea to more consumers. Whether you own a brick & mortar teashop or are an online purveyor, a tea blogger, tea author, tea educator, organizer of tea-related events such as festivals or have some other related enterprise that may be of interest to our community, you can become a Business Member of ITSS and enjoy the benefits of our community. 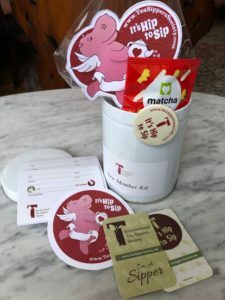 As a Business Member you will have several ways to promote yourself to our General Tea Sipper Members: page profile, event calendar, contributing interesting content and, eventually, sponsoring contests and member events. Plans for the future are to promote tea drinking and ITSS in popular media which should benefit all participating Business Members. We’re banking on the idion that “a rising tide lifts all boats”. In raising the level of tea-appreciation, ITSS wants to increase the success of all our Business Members. What does an ITSS Business Membership Cost? The subscription rate for ITSS Business Members is $100 per year. Business Members enjoy the same benefits as Standard Sipper Members at $25 per year + a complete profile page with images and generous descriptions to promote their business, the opportunity to list tea events such as themed tea parties, classes, lectures, festivals and meet-ups and eligibility to submit content to the growing Tea Sipper Library. How will ITSS generate new interest in tea? 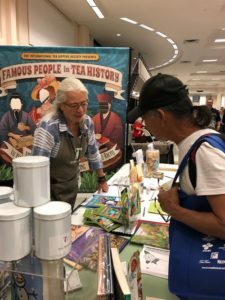 ITSS will use print & online advertising, informational articles, events and social media contests to attract people new to tea and then guide them through an exploration of all things tea – focusing on making it fun and accessible, not stuffy and snobbish. ITSS will always encourage members to explore and broaden their range of tea experiences without demeaning any preferences. Teabag lovers and Tea Leaf lovers alike. We sincerely believe that, by sharing the incredible story of tea, we will encourage members to further involve their families and circles of friends. What's different about ITSS over all the other (free) social media opportunities? ITSS is a community, making meaningful connections between business and consumer members. Certainly, social media plays an important part in promoting ITSS but we believe that we can be far more focused and organized, giving members a premium experience to search the world of tea without being harassed by aggressive advertising robots studying every click. While the business profiles and event listings are, essentially advertising, they also bring value to members. Can I speak with an ITSS staff member by phone? Yes! We’d love to talk to you. Email me to schedule a phone meeting. In how many categories can I list my business? You can list up to five categories as long as they accurately describe your business. Our staff will contact you if your listing in a particular category may lead to a misunderstanding with members and will work with you to make your professional listing as accurate and as beneficial to you as possible. How difficult is it to create the business profile page? For anyone with basic computer experience – such as sending email with images – it should be fairly simple. Check out our info page, Creating Your Business Profile. I don't have time to make my listing look and sound as well as I like. Do you have anyone who can do this for me? 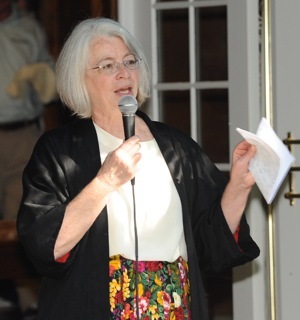 For an additional fee, our graphic designer, Joan Moskowitz, will create your profile page.